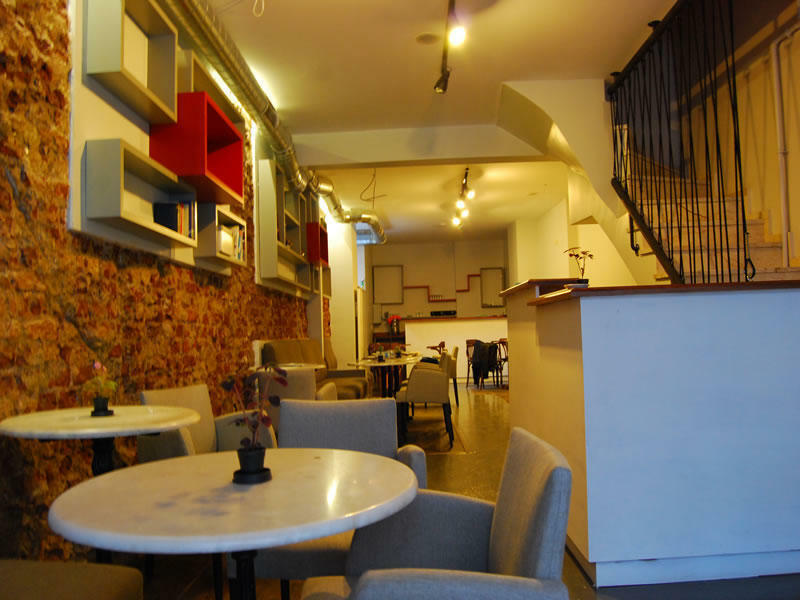 BellaVista Hostel is located nearby Taksim Square. It is very close to touristic and historical places and the traditional parts as well. Here, in BellaVista, we focus on for your convenience. A clean, relaxing accommodation in your traveling was our first purpose as your home in İStanbul. BellaVista Hostel has 9 rooms as options of dormitory and private, for 10, 8, 6, 4, 3, 2 persons. It consists 6 floors with a huge terrace. In every floor we have more than 1 toilets and showers. At 1. floor we have BellaVista Cafe & Restaurant(Fine Vegetarian Kitchen), provides drinks, traditional Vegetarian foods and breakfast. Free WiFi and breakfast are included to our prices. We have social events like watching movies, small parties, jam sessions at our terrace from time to time. Plus, as extras, we rent towel, iron and laundry for really cheap prices. Also, you are going to get private cabinet for your stuff and hair dryer if you need it. There is a shuttle (HAVATAŞ) from both İstanbul Atatürk airport and Sabiha Gökçen Airport to Taksim. When you arrive in Taksim, it will take only 5 minutes to reach BellaVista Hostel. From Havataş station, through the Şişhane district, Turan caddesi is on the right, which goes down. Hostel is located on the right side of the street.